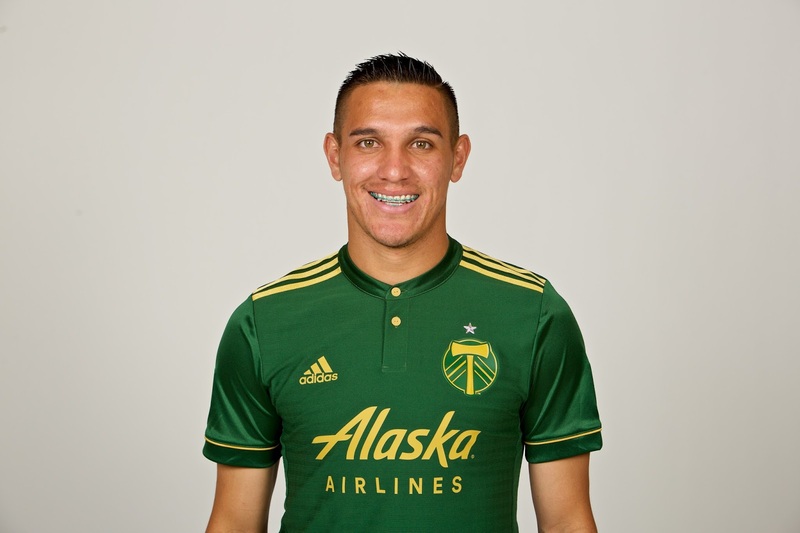 I had the posts written in my head after the Portland Timbers were bounced from the playoffs in 2017, and it was just a matter of putting them down to the site. Once the Houston Dynamo officially sent Portland into the offseason, I knew the questions and answers were going to start happening as they always do. There is only 1 team that gets to celebrate at the end of the season when they lift MLS Cup, and everyone else is left to wonder what they could have done differently in order to be that side. For me, there were a lot of questions to ask about the club in general, but nothing that I felt was so earth-shattering to stop the forward momentum of this year. Let's face it - a Western Conference title, an improved offense, a defense with questions but playing well going into the postseason and a Cascadia Cup off a resounding victory at home - there is a lot to be happy about. I believed that right up to getting home from the gym on the night of November 16. I had just set my water bottle down and was going to get cleaned up when Jennifer, my wife, walked into the kitchen and said, "Have you seen the latest WTF moment?" Professing ignorance to the news, she simply said, "Caleb", and I picked up my phone and went straight to Twitter. 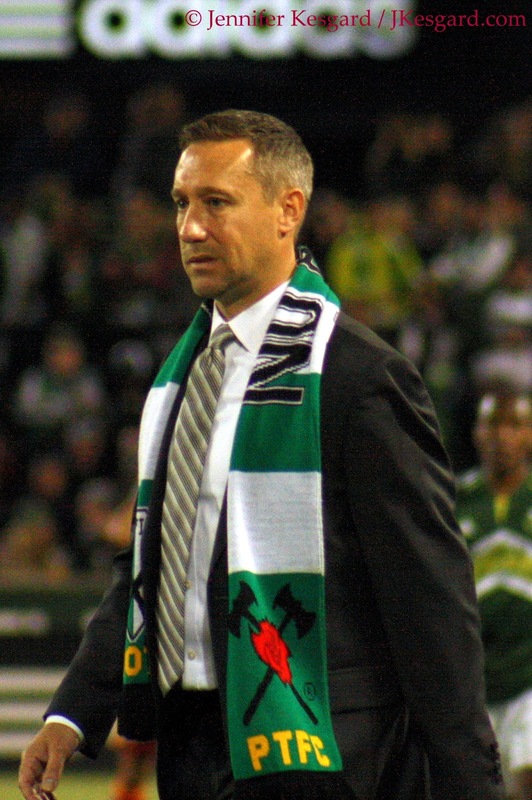 I knew at that point whatever I was going to say about the 2017 season would be dramatically different after the news that Caleb Porter left his position as Coach of the Timbers. The text of the announcement included much of the same information we see anytime a coach leaves an organization in any matter - power struggle, change of direction, fired, his own decision, terminated, new job, new chapter. To say that the post hit many as a complete surprise is a huge understatement because this was one of the last possibilities that I would have expected for the Timbers in 2017. 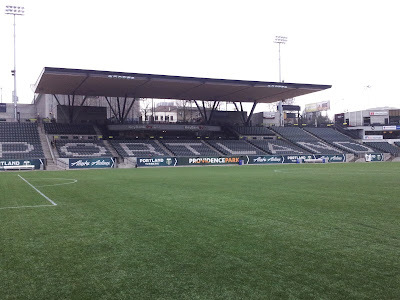 After the tenure of John Spencer when the team first joined MLS in 2011 to Technical Director Gavin Wilkinson's brief caretaking role in 2012, we heard that Portland had their guy when Porter was hired away from the University of Akron. In his first season in charge, the Timbers came within 1 game of advancing to MLS Cup in 2013 and subsequently, qualified for 2 other postseason runs with the 2015 MLS Cup being the true highlight. Not only has Porter been a success for the Timbers in this era, but his numbers are outstanding if you look over the 40 plus years of Timbers teams in various eras. David Guzman was a big addition for 2017. What will 2018 bring? A coach alone can't win a championship and so it was the power trio of Porter, Wilkinson and Owner Merritt Paulson that worked very hard to find a winning program. I know each man personally and they have confidence and an ego, and they've been successful in turning Portland into a true soccer mecca - Wilkinson's resume includes conference titles during his USL coaching tenure, 2 NWSL Cups, a PDL Championship and countless other accolades. Paulson took a franchise that needed stability and a direction when he bought the club in 2007, and he navigated the various challenges with a lot of assistance to help guide the Timbers into MLS and now be one of the noteworthy franchises in the league. From all of the work, a full academy system has been fortified to bring youth players into the fold, the Portland Thorns have proven that women's professional soccer can work in the right environment with the right influences and the Rose City is a true Soccer City. There have been hiccups along the way, but honestly, what journey doesn't have hurdles and bumps that pop up? With ego and confidence, I can also judge that the 3 men in this equation are also used to making all the decisions. I imagine there were great moments of pure joy when the formula worked, whereas there were many heated moments when issues cropped up. Any relationship has those hallmarks, but the good situations all find a way to work through those efforts. 2017 certainly put forth a ton of hurdles along the way - injuries from the onset when defender Gbenga Arokoyo ruptured his Achilles within one of the first matches in preseason to lingering issues with several players all year. Defender Liam Ridgewell was expected to be the linchpin of the backline, but he missed nearly two-thirds of the season with various injuries. Striker Fanendo Adi, who was keeping pace with Diego Valeri in the goal scoring race on the team injured his hamstring in August, and never took to the pitch after that despite various promises that he was close to returning. Other players missed time due to various knocks, and the club had built what they thought was a strong enough foundation to overcome those absences. But the Houston season proved to be too much to overcome with 6 starters out and Darren Mattocks leaving minutes in for concussion concerns. Even if the Timbers had somehow beaten the Dynamo, it likely would have been a stretch to get enough weapons together to battle in the subsequent rounds. Portland seemed like a very tight knit group. All of these issues are part of the coaching complexion and are true no matter where someone is. Teams on paper always look promising and full of life, but it's the reality of having to put them on a pitch and see what happens that separates the experts from the others. Coaches put together their plans and hope the side can execute them, and in most cases, the Timbers were able to show up and be competitive. I can recall a few times in the Porter era where the team just failed to show up, but it was very rare as they were very tuned in to the overall message. Even if there were issues in the first half of lackadaisical play, a halftime speech later and it often seemed like we saw a different Portland side in the second half. While I was able to observe many practices and games up close, I often admired the closeness and respect the Timbers had among the players and coaches - the perception of that anyway. The team really seemed to like playing for Porter and the style that he engaged, and the results often worked. Then I am reminded of the actual toll that coaching takes on people. Even in the offseason with games, there are still meetings and conference calls to discuss player matters, scouting trips, the actual MLS meetings, MLS Super Draft and subsequent other drafts, and preseason starts in mid-January. Portland hoisted their MLS Cup trophy in mid-December of 2015, but immediately had to make player decisions and business moves minutes after securing the trophy. The stress and anxiety must be particularly intense because it never really goes away, as there are always matters that demand attention. In my various chats with Porter, he came across very cordial and friendly, but you could tell there was a tremendous detail and thoughts to his words. I imagine much of his talks were reviewed over and over again before they even hit the airwaves, and while that is great to ensure the words are pure, I can also imagine that's very exhausting. In all honestly, I have no idea why Porter decided now was the time to leave and I don't think anyone will ever know the real truth. There are certainly a lot of prevailing theories, and I've offered up my observations from covering the team for over 10 years, but there's also much that I don't get to see. After thousands of practices, flights, team meetings and such, the reason for leaving could be as simple as burnout. It could be several disagreements on the direction of the team going forward, and with 3 very smart but opinionated men at the helm, that could also be real. It could be a power struggle, but this trio of power brokers worked for 5 years to produce some great moments, so I find it hard to believe that it suddenly wasn't going to work in the long run. There could be other reasons, or a combination of the factors above, but as I would expect from Porter, once he made a decision, he was going to stick with it. He decided it was time to move on, and we are all now left wondering what is next. I've eluded to some of the other questions that I had for the 2018 Timbers - what about Ridgewell's status as a high priced defender in his mid 30's that has struggled to stay healthy, but when he's there, the defense is markedly better. What about the status of Adi, who has been one of the best scorers in Timbers history, but the injury threw him off his game and he's made overtures before about wanting to leave Portland. How about Alvas Powell, a supremely talented defender who still makes tons of unforced errors - he can be very good, but he can also be very awful and after so many years, have we seen the best of him? I even have questions about Darlington Nagbe, who has been with the Timbers since day 1 of MLS. He is one of the most talented ball handlers in soccer today, but is he doing enough to contribute to the overall offense, especially since we can't count on Valeri netting 20 goals every year? Even Valeri, who is now 31, has questions of simply how long can he keep doing what he is doing? Does the team decide on Jeff Attinella as keeper, or do they continue the long experiment of Jake Gleeson? The fact is while all of those questions are valid, nobody can answer them until we know who officially is in charge. Will we see Liam Ridgewell in 2018 wearing Timbers green? There are tremendous candidates out there and Portland will have the pick of who they want, and whatever choice is made, that person will have to understand and navigate the relationships with Wilkinson and Paulson because they aren't going anywhere. I don't see having a passionate owner and technical director involved as an issue, but a coach would need to be able to work within this structure. For me, I'm just excited about the prospect of having a Timbers season in 2018, especially with the park expansion now taking place. There were too many years in the USL era where we had no idea if the Timbers would play in a league, much less have players. Those days are long gone, but it's important the stewards of the club to understand the vitality of this team, especially to the fans. Players come and go, but the supporters are here for every match, and continue to support this team for life. Supporters might question decisions, protest directions or complain at certain points, but they also show up each and every week for the match to sing and chant for victory, whether it comes or not. It's crazy environment, but even those coaches that have left still call this a special place, and in that respect, I imagine whomever gets the job realizes the true grandeur of what they are stepping into. For myself personally, I hope next year brings a new excitement and engagement. Honestly, it's been more difficult that I realized to be in charge of the site and also responsible for the content. My drafts folder still has dozens of posts that I started that never saw the light of day for whatever reason, but much of it is simply having the time and energy to devote to it. I want to keep doing a predictions thread, but I expect it will take a very different direction. I love to post, but it's tough to write such long posts when the feeling is right. I'd like to break them up into more manageable pieces and post more often, which will also help the 4 to 5 loyal readers I have. LOL. I felt that I was in a good place after leaving my previous outlet and striking out on my own, but I also had to face the realities of that - and having a full offseason to brainstorm and plan is a good thing. Maybe Caleb is onto something with this batteries recharging thing, but there will be plenty of Timbers posts coming. I'd also like to do more writing about other topics, as some of those posts have ended up being my most popular entries. As long as I still have folks visit, I will keep writing - and I will be ready come January 2018 when we get to jump on the Timbers roller coaster once again. Labels: 2017 season, Caleb Porter, portland timbers, postscript, what now?